Effective January 1, 2017, Gerald A. Mollica retired from the firm. He was a general practitioner with substantial experience in civil litigation, municipal law, and probate and real estate matters. Jerry is a graduate of the Ohio State University College of Law. He was admitted to the Ohio Bar in 1963. He was also admitted to practice before the United States Supreme Court, the United States Court of Appeals for the Sixth Circuit, and the United States District Court for the Southern District of Ohio. Jerry belonged to numerous professional organizations, including the Athens County Bar Association (past President), Ohio State Bar Association, and Ohio State Bar Foundation. He was chair of the Admission to Practice Committee of the Athens County Bar Association. He served as Law Director of the city of Athens from 1965 to 1972, and for the Village of Chauncey for 35 years. From 1972 to 1995, he was the Ohio Attorney General’s Special Counsel to Ohio University. He served as Chairman of the Athens Civil Service Commission, and as a member of the Board of Trustees of the Athens County Law Library for over 30 years. Jerry is a member of the Athens Rotary Club (past President), Symposiarch (past President), and St. Paul’s Catholic Church, where he serves on it finance committee. He is past President of the Athens Jaycees and the recipient of its Community Distinguished Service Award. He is currently President of the Athens Rotary Foundation and a board member of the advisory board of Ohio Health O’Bleness Hospital. In addition, he has served on numerous committees of the Athens Area Chamber of Commerce, United Appeal, and various local school levies. He has also served as past President of the Athens High School Boosters Club. 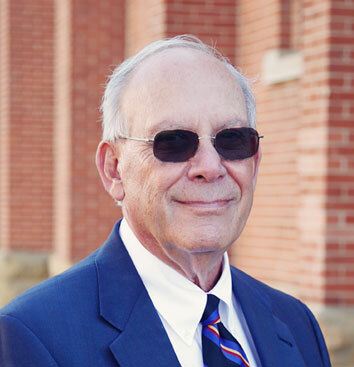 Jerry was awarded a certificate of service for practicing law for 50 years from both the Ohio State Bar Association and the Athens County Bar Association.